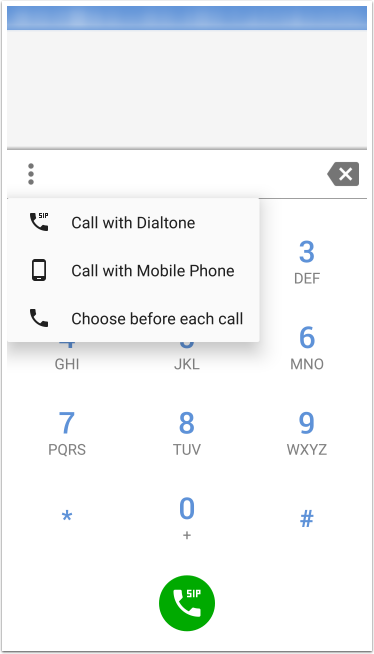 This guide will assist you in setting up and using Dialtone on the Android platform. 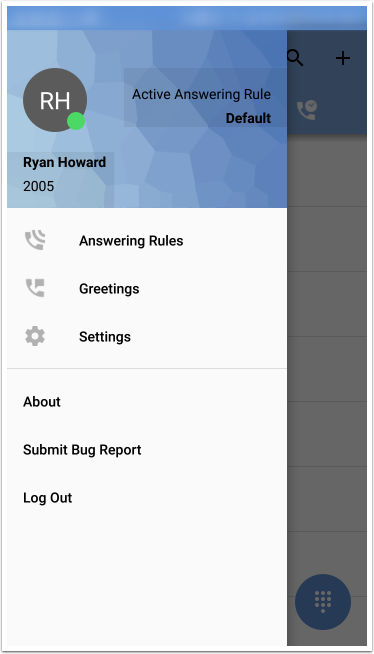 To get started, download the Dialtone app from the Play Store. You can find the app by searching "Level365" or by clicking here. 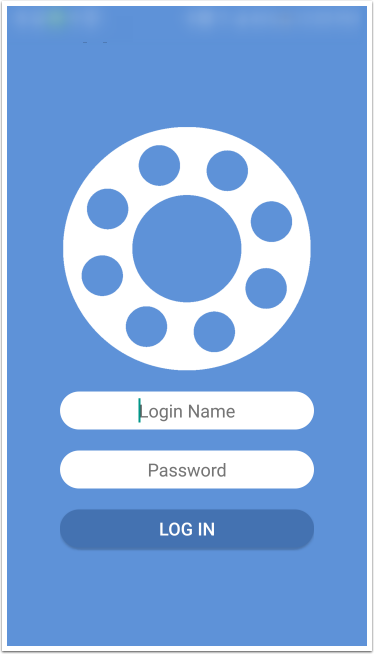 After downloading and installing Dialtone from the Google Play, you are presented with the login page shown above. This login name and password will be the same credentials you would use to log into the Portal. If you are unsure of your credentials, please see the Forgot Login Name or Forgot Password articles. After logging in, you will be presented with a list of the users that are members of your domain. From this page you also have the option to check voicemail, call history, and the dial pad. 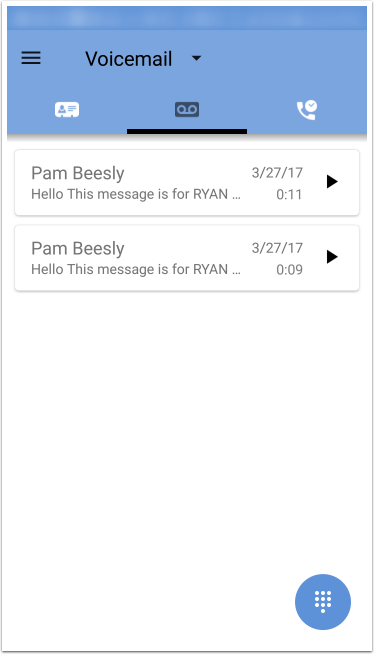 The voicemail option will include all voicemails currently in your inbox. 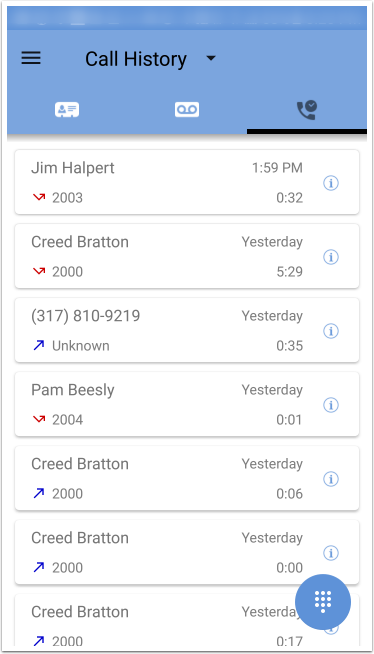 Here is an example of what to expect from the call history option. 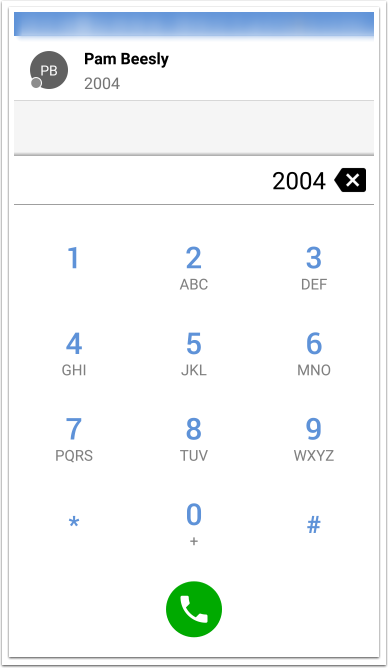 When using the dialer you have the option to make calls with Dialtone or your mobile phone. 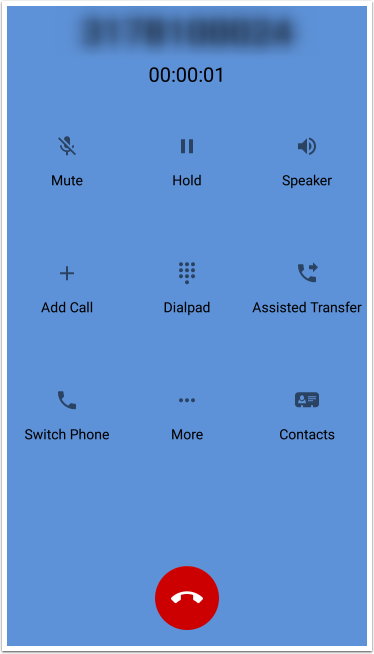 The image above shows options that are available to you during a phone call. 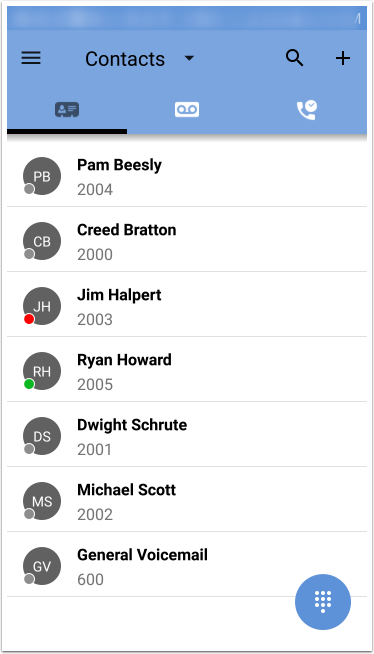 When using the transfer option the user status is displayed in grey, indicating that they are offline. The image above displays the options presented when pressing the three lines on the top left portion of your screen. Here is an example of the call rules you have set up for your user account. 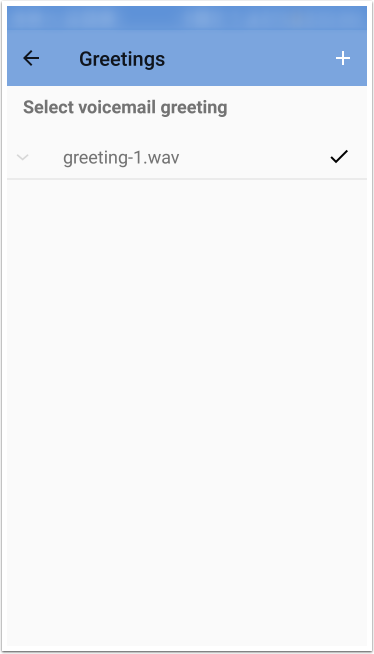 The images above show the greetings option. 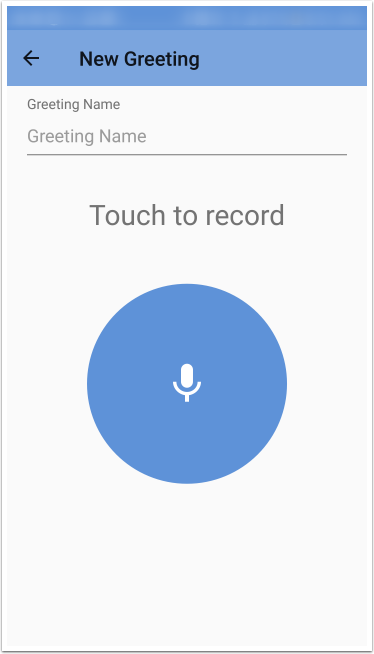 From this option you can either revise your voicemail greeting or create new greetings. 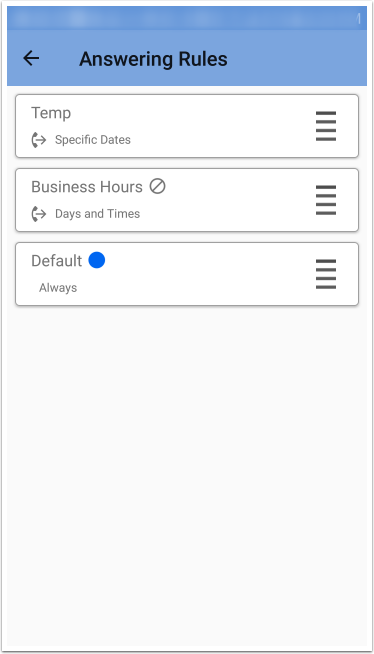 The settings window displays options that can be used to personalize your experience. 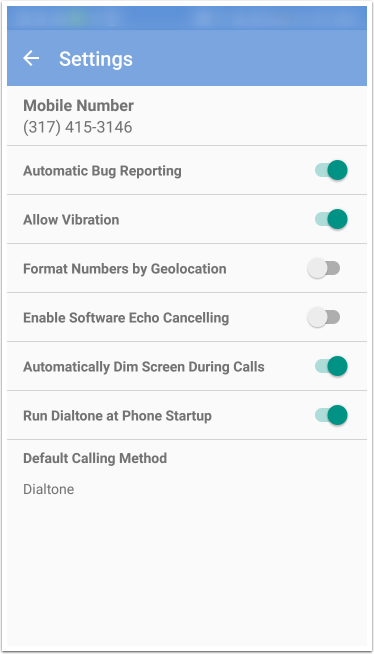 Please note, the Run Dialtone at Phone Startup is enabled by default. We recommend disabling this option as soon as you install the software. Android has known issues with loading applications before network connectivity is established.